Took a late January trip out to the Memorial Gardens at Homeward Bound to see how our weeding stood up to the rain last week, followed by six warm sunny days. To my delight, there were only a few sprouts attempting to poke through our bark cover. They were quickly dealt with. I ran into a dog-walking volunteer who had not seen the gardens since early fall. She was amazed at the progress. A new Cottage Garden has been laid out at the entrance to the shed. 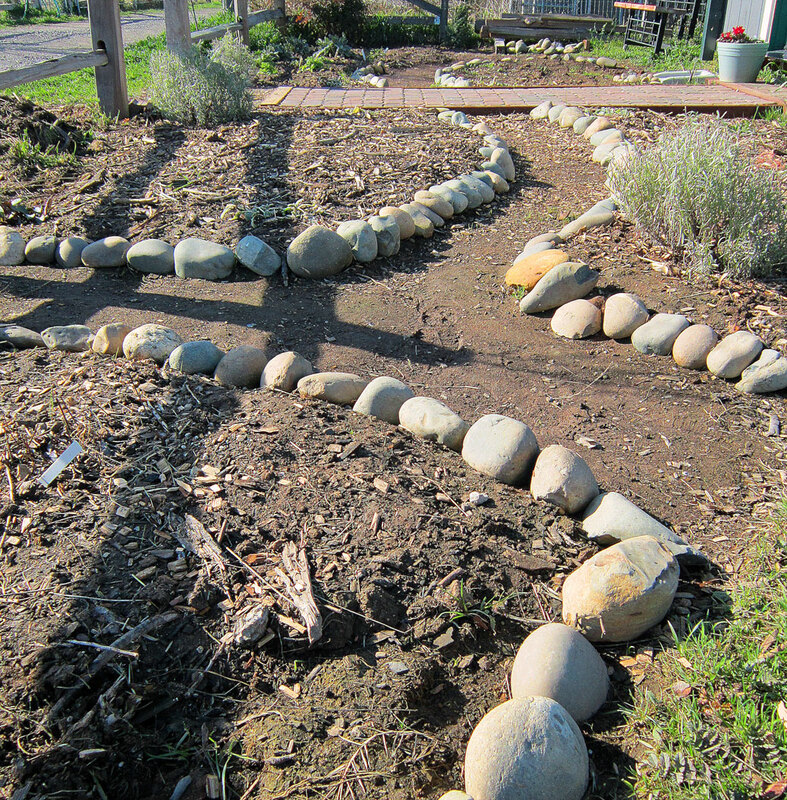 Should create a lovely little vignette and a welcoming path to the beds beyond. 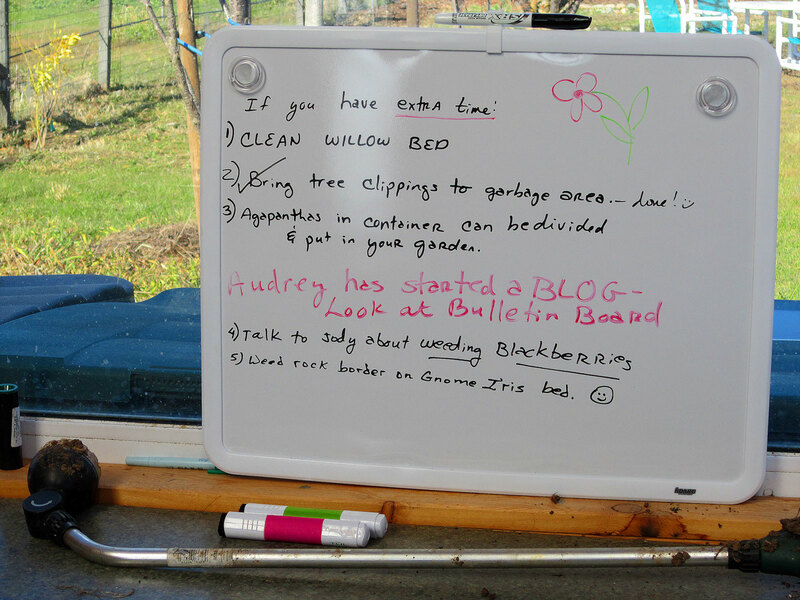 A new board has been installed in the shed, with a list of chores to support the our fellow gardeners.